We had just launched an official charitable organization for this ministry, and I was having a meeting with my CPA firm. They were telling me about all the things I needed to do now that we were official … and All The Things sounded expensive. I went home and sat before the Lord that night. Hey everybody! Are you ready for a financial UPGRADE? 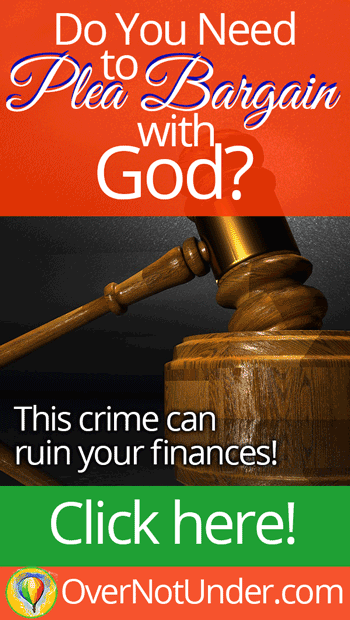 If so, it’s time to start praying for your finances more aggressively than ever before! I recently recorded a number of short videos in which I prayed for you about 31 aspects of your financial life. I am going to share these videos over the next 31 days–one per day. The Lord is shouting in my spirit about praying for your finances. I’ve just recently come off a week-long sabbatical, during which I just rested, spent time with the Lord, and spent time with my husband and son. During that sabbatical, the Lord spoke into my ear STRONGLY about praying for finances–yours, mine, this ministry’s, my church’s, everybody’s! It’s simply a fact that Christians do not pray enough. People in other religions have a set schedule on which they pray. They pray multiple times per day, like clockwork. But do we pray? Alas, we rarely pray as we should, considering that God moves on the earth in response to prayer. We don’t even pray to our One True God as much as pagan religions pray to their false god. Lord, have mercy. But it’s time to change our prayerlessness. Would you join with me on a quest to pray as Jesus prayed? To seek Father like Jesus sought Him? To believe God like Jesus believed (and still believes)? I believe you will, and I’m glad for it. 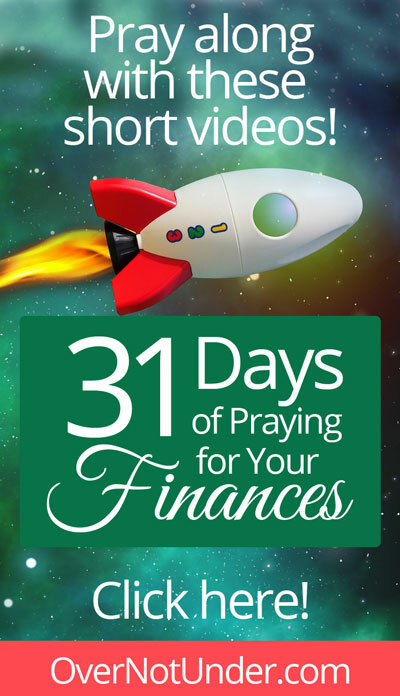 Day 1 of 31 Days of Praying for Your Finances is about financial UPGRADES. And your magistrates righteousness” (Isaiah 60:17). And in this verse, we see that the heart of God is to UPGRADE you. Instead of wood, which is brown like bronze, He’s going to bring you bronze (which is way better than wood). Iron may be silver in color, but that silver isn’t anywhere near as valuable as real silver. From now on, silver will be your portion instead! Do you struggle with knowing how to balance paying your bills with giving? Do you want to step into God’s river of abundance? 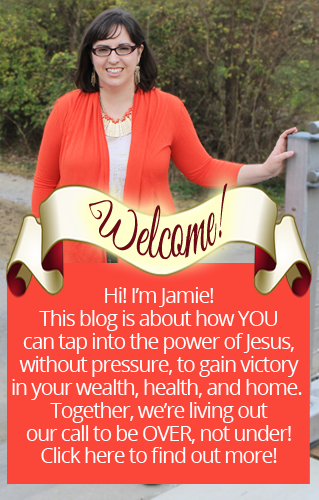 If so, today’s blog post is an encouraging word for you! God’s Kingdom is a river of abundance. He is an abundant God who lacks for nothing, and it is His will for His children to lack for nothing as well. God’s Word says this throughout its pages. So how do we get there? How do we get into that river of abundance? By learning God’s ways and knowing His heart. 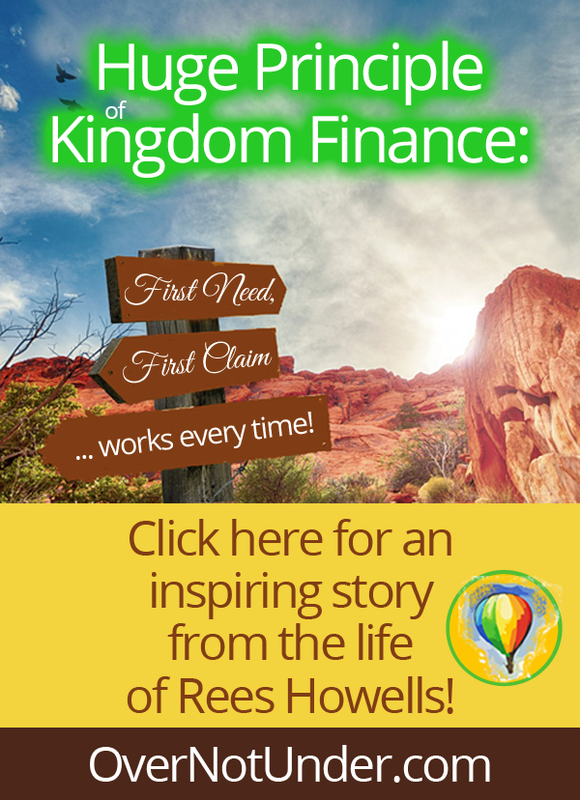 Many years ago, I learned a Kingdom finance principle from the life of Rees Howells. This lesson has stood me in good stead all these years, and it works. I want to share it with you today, for I believe it will help you too. If you’re not familiar with the life of Rees Howells, you can read all about him in Norman Grubb’s book Rees Howells, Intercessor. Basically, Rees Howells was a Spirit-filled intercessor and missionary in the first decades of the 20th century. He was a missionary to Africa, and he also founded a Bible college in Wales. He and his Bible college students prayed the Allies through World War II. Grubb’s biography of Howells is, in my opinion, an absolute must for every person who wants to become powerful in God, learning to shake heaven and earth. The principle is called “First need, first claim,” and it’s the way God taught Rees Howells to live. What does this principle of Kingdom finance mean? You acknowledge that everything belongs to God. You accept that God is your provider, and you depend on Him to provide. You acknowledge that God sometimes wants to get money through you while He’s also getting money to you. Rees Howells worked a secular job for some parts of his life, but he also spent time in full-time ministry. Early on, he learned that he was dependent on God for provision (as we all are). So sometimes, Howells would have plans, but the Lord would interrupt him … particularly regarding his plans for his (God’s) money. For example, Howells would be walking from his house to the train depot, money in his pocket for a ticket to a gathering of preachers in a distant town. On the way, however, Howells would encounter someone in need: a widow, a child, a hungry man, etc. When he did, God taught him that he was to use the money in his pocket–money he had saved for the train ticket he was to purchase a few minutes later–and help the needy person. It wasn’t easy, but Howells learned to obey. He would take whatever money he had and meet the need the Lord was leading him to meet. However, that didn’t negate Howells’ need. He still had plans and needed to get to wherever he was going. So, in faith, knowing that God had told him to go to that preachers’ meeting in that other town, Howells would walk on down to the train station like he was supposed to. Once there, he would wait. Essentially, he was putting a demand on God to provide. He had had the money he needed; God told him to do something with it; he obeyed. But he knew God had also told him to go to the other town, so that meant that God’s river of provision would show up somehow and get him there. And invariably, God came through. Sometimes Howells would feel led to check his mail–and there would be a letter for him containing just the amount of money he needed. Or, sometimes, someone else would find him and tell him that God had just put it on their heart to give him money–and hand him exactly what he needed. Whatever the method, it always worked. Howells, acknowledging that the money in his pocket belonged to God, would do with it whatever God said … and he never lacked. In this way, God taught Howells that the first person who needed the money God had sent him had the first claim to it. The lesson of “first need, first claim” put Howells in an uncomfortable situation a number of times. After all, there’s much more peace of mind for our natural selves when we know that the money we need is in our pockets. Having everything we need in advance means we don’t ever have to use faith. However, God doesn’t always work that way. Oh, sometimes He does. Sometimes He’ll provide your need wayyyyy in advance. I love those times! Don’t you? When you don’t even have to give your need a second thought, or a second prayer? He’ll wait until the midnight hour. He waits until the sun’s coming up. He’ll wait until the very moment when you need that provision now, and then, POP! He shows up, seemingly out of nowhere. My husband and I have learned to live by the principle of “first need, first claim” in our daily lives and ministry. And, to be very real, it actually gets fun after awhile. Here’s the thing: God may send any number of situations our way, asking us to give. However, we have never gone without when our need showed up. It works the same way with this ministry (From His Presence, Inc., our 501(c)(3) organization that owns this website). We may have plenty of ministry funds in hand from a great product launch, a large donation, or whatever. We love it when that happens! It’s fun, and it’s a huge relief from the stress of running a business. But, almost every time that happens, along comes God. He’ll put us in a place where we hear about someone’s need, and He’ll tell us to meet that need. It takes faith … a lot of faith. I, at least, have not always had the faith that it will work out without problems. When the Lord first started teaching me about this, I obeyed but then was really, really worried afterward. But faith can start small and grow. Even if you don’t have enough faith yet to see the way the whole thing will turn out in the Spirit, if you have enough faith to believe God and obey Him, you can trust Him: it will work out. Even though we practice “first need, first claim,” we have never, ever, ever gone without. Every time God asks us to give–first need, first claim, right?–He comes up afterward, just in the nick of time, and provides the need we thought we were keeping that money for. After we have seen Him do this a huge number of times, it has gotten easier. So much so that I now believe we have tapped into a secret about His heart. A river of abundance, because all our needs are met even if we don’t see big balances in our bank accounts all the time. If you are willing to BE a river, God’s river will flow through you. And when it does, it will benefit both you AND everyone else around you. First need, first claim. Be a river. It works every time. Has God ever spoken to you about this principle of first need, first claim? Do you have a testimony about how He has provided for you, even though you gave to someone else’s need? If so, please leave a comment below! I’d love to hear your thoughts! Did you know that God likes gold? He does; true story. And as you read today’s blog post, I believe you may be as stunned as I am to read about how much God likes gold, per His Word. Read on, and pray the prayer for gold at the end of this post! God really likes gold. He’s HUGELY into gold. As a matter of fact, He surrounds Himself with it in Heaven … and I believe He wants you to have some here on earth. 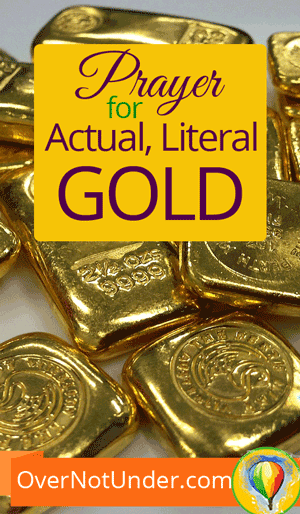 If you will stick with me in this rather unusual subject, I’ll explain why you should pray for gold–and provide you with a sample prayer for gold too: actual, literal gold. “Now a river went out of Eden to water the garden, and from there it parted and became four riverheads. The name of the first is Pishon; it is the one which skirts the whole land of Havilah, where there is gold. And the gold of that land is good. Bdellium and the onyx stone are there” (Genesis 2:10-12). In this passage, God is telling us what the world looked like right after creation (or at least, this version of creation, as the Bible also shows that a world existed before … but that’s another story for another day). In this newly-fashioned and formed world, God had many wonderful things. He describes them in detail in His Word, in the first few chapters of Genesis. But right in the middle of that description, He specifically points out this place where there was gold: Havilah. And you know what else He says about gold? He said that gold is GOOD. I first heard about this from Rabbi Daniel Lapin, who wrote a book called “Thou Shall Prosper: 10 Commandments for Making Money.” He points out that God called gold “good” right in the 43rd verse of the Bible … and the fact that it’s one of the very first things God says to mankind through His Word is pretty important. So gold is good. God said so. That point will preach, all by itself. I’ve been working on Rabbi Lapin’s book for a few weeks now, but that one statement still freaks me out. I think we all need to meditate on that verse; it will help break poverty thinking off you if you have any left (and we all do). When people were originally created, mankind was perfect. There was no sin on the earth, and people had not yet sinned. However, when Adam and Eve sinned for the first time, man became sinful and corrupt as a species–and we were no longer good. Without the blood of Jesus, which makes us right with God if we make Jesus the Boss of our lives, we would be lower than gold on the value-scale. BUT … Gold is a thing. It’s an inanimate object, obviously. It has no will and no soul, and thus cannot make decisions for right or for wrong. So GOLD is still good. God made it good and it has stayed that way. God surrounds Himself with gold in Heaven. People say, “Oh, in Heaven gold is considered trash. God paves the streets with it …,” but that’s a load of hooey. Think about it. Yes, God paves the streets with gold in Heaven. But the city of New Jerusalem is made of gold too. Does that mean God built the city out of trash? NO. God wouldn’t build His city OR His streets out of trash. It’s much more likely that gold is one of God’s favorite things. Maybe gold is a heavenly material that God saw fit to deposit on earth, just to make us long for eternity. Maybe God deposited a little piece of Heaven on the earth, and that’s why gold has carried a mystique about it since the beginning of time. Maybe that’s why it gets into men’s spirit and makes them long for something more. Maybe gold carries the very molecules of Heaven. And maybe that’s why gold doesn’t tarnish. Now, I’m not here to recommend or suggest any investment strategy or purchases. I am not an investment advisor, financial advisor, or legal counselor (consult your professional advisor, etc, etc). God may lead you through those things; I don’t know. But what I am here to say is that Papa wants you to have gold according to His Word. Genesis 2:10-12 (quoted above) says that gold is good. Gold is good + no good thing will He withhold from those who walk uprightly = God will not withhold gold from you. And since Jesus said to ask for whatever you want, and it will be given to you, it makes sense that God wants you to have gold. God wants you to have gold. That doesn’t mean He wants to just dump it in your lap if you can’t be trusted with it. You need to be a good steward to expect God to bless you; and you need to become a better steward in order to see Him bless you more. That’s just the truth of God’s Word. So everything belongs to God and He’s only letting you steward things when He entrusts them to you. But He wants to entrust you with more as you become capable of stewarding it. And if you’re capable of stewarding it, He will give you all the good things you can handle. Then I believe it would please God for us to ask Him for gold. Not to make ourselves wealthy. Not to hoard it or love it … but just as a way to do business. After all, Jesus said to “occupy”–meaning in the Greek, do business–until He comes. And a world of business is done through investing in gold. Just something to think about. Father God, I come before you in Jesus’ name. Father God, thank You for loving me and blessing me. Thank You for providing all my needs richly in Christ Jesus. Thank You for prospering me and blessing all the work of my hand. Father, Your Word says that gold is good. Your Word also says that You will not withhold any good thing from those who walk uprightly. Furthermore, You told us to occupy until You come; and the steward that Jesus described who got the most reward was the one who did the most business and turned a profit. So Father, on the basis and authority of Your Word, I ask You to send me gold. Lord, when You send that gold, teach me to steward it well. Help me to learn how buying and selling gold works. Teach me how to handle gold and how to invest in it safely, securely, and properly, as a faithful steward for Your Kingdom. Lord, never let my heart become attached to gold. Don’t let me love it, crave it, hoard it, or worship it. Never let gold get in my blood, Lord; let only Your Spirit have influence over me. I refuse to be bound by anything except the blood of Jesus, Your Word, and Your Spirit. But Father, with that said, I do believe that the wealth of the wicked is stored up for the righteous. I believe You put gold here on earth for a reason, when it’s obviously a heavenly treasure. And I believe that, like you did for Noah, You forewarn us of events to come. So Lord, because of Your Word, I have asked You to send me gold and I believe You will. Let it come to me now, Father, and keep it and me safe. Help me to keep it, buy it, or sell it only in response to the prompting of Your Spirit, and make me wise with understanding about how to handle it to bless Your Kingdom. Does this word about gold resonate with you? Has Holy Spirit been talking to you about gold? If so, or if you prayed this prayer for gold, please leave a comment below! I want to hear what you are sensing! You will become like the people you learn from. Study Jesus and learn from Him, and you will become like Jesus. Study a demonized rocker and learn from him/her, and you will become demonized. Studies also show that you even become like your friends. If you hang out with negative friends, you will become negative. Hang out with positive friends, and you will become positive. Hang out with rich friends, and you will become wealthier. So when God told me to find 5 Christian billionaires to learn from, I knew He had something in mind that would bless me. Obviously, billionaires must know something about money, business, and work that the rest of us don’t know. So I knew I was supposed to examine these people’s lives and find out what they know. Which of God’s financial principles are they practicing that I’m not? Whatever it is, I should start. 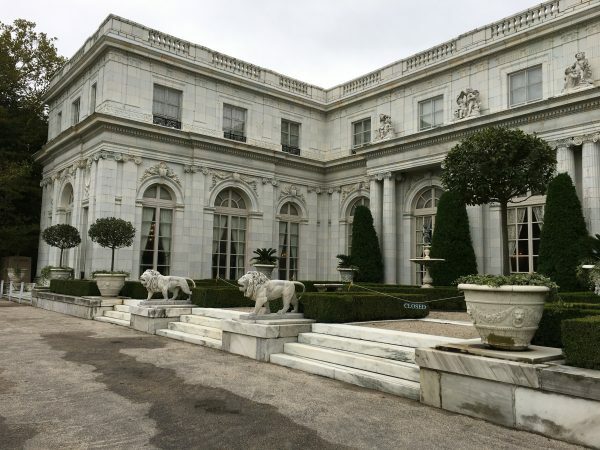 What does good stewardship look like for a billionaire? Whatever it is, I should practice the same thing in miniature. 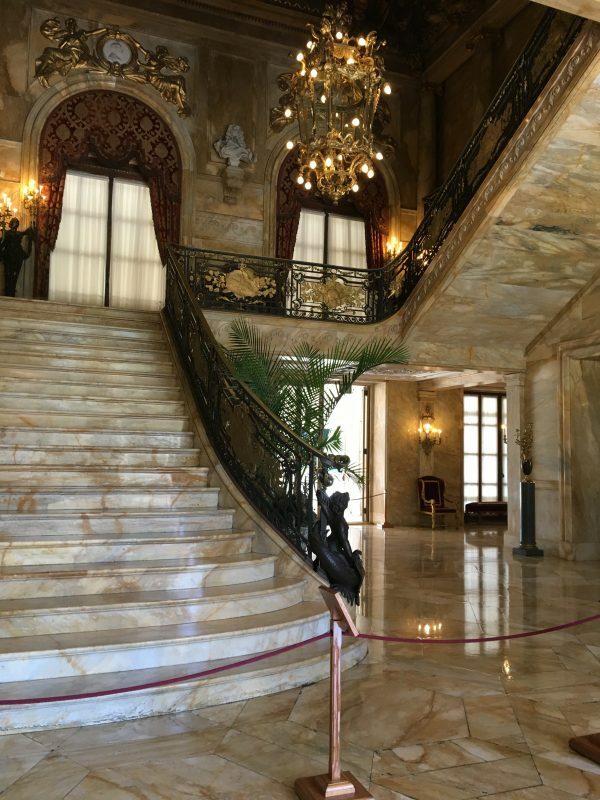 What does a billionaire know about Biblical success principles–e.g. writing goals, reading, and exercise? I should make a point of doing those things. I also knew that I would need to study these people’s habits through a very cautious, Scriptural lens. Just because someone gets one thing right doesn’t mean everything they do is a model of virtue. We need to learn from people who are better at something than we are. However, that doesn’t release us from the obligation to pass everything we see through the tests of Scripture, in order to determine right from wrong. Sir John Templeton, founder of the Templeton family of mutual funds (and definitely an opportunity to eat the meat and spit out the bones, for he had some really bad theology mixed in with his Christian beliefs). Colonel Sanders, founder of Kentucky Fried Chicken. Again, I may add others over time. 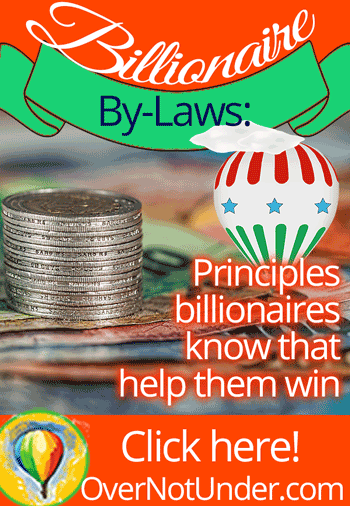 So the first Billionaire By-Law I have learned is from David Green, founder of the Hobby Lobby chain of retail stores. They are acutely aware that God owns it all. They really pay attention to the fact that God owns everything in the world. I mean, they really pay attention to that. The Green family has a very hands-off approach to their fortune. They believe they are only managing it for God, based on His instructions, and for His glory. They believe that God owns their business SO strongly that they actually had legal papers drawn up to give ownership of their entire Hobby Lobby business to God. Legally and formally. In these videos, Mr. Green said that they actually had to have 3 generations of family members sign legal papers renouncing all claim to the Hobby Lobby business and fortune. That was the only way their attorneys would draw up the papers to transfer ownership of the company to God! Can you imagine being SO aware of the fact that God owns your business, that you actually have legal papers enacted so there would never be any doubt? I was floored by that. What does this Billionaire By-Law mean to you and to me? I have not been nearly as acutely aware of God’s ownership as the Greens are. As I wrote about recently in Do You Need to Plea Bargain with God?, if I were constantly aware of that fact, I’d never leave a Taco Bell bag in the car. I would make sure the floors in my house were vacuumed and swept at all times. And I wouldn’t leave things sitting around. If I really were aware of how God owns all the stuff around me, I would take much better care of it. Since the Lord began dealing with me about this, I’ve started taking little steps to improve in this area. I want to do all things as to the Lord, not unto men! I want to clean my house as to the Lord, clean up the car as to the Lord, and take care of everything around me as to the Lord. It’s not that I didn’t know God owns everything. I did. But it’s the acute awareness of this fact that changes our behavior. So I’m trying to meditate on this truth–that God owns everything around me–as I walk through my day. Those dirty dishes in the kitchen? God owns them. I’d better put them in the dishwasher. Those dirty clothes in a pile on the floor? I need to hurry up and get those in the washer, rather than letting them wait for days. They’re God’s! That drink bottle in the car? It’s empty. I need to dispose of it properly, not leave it sitting in the car. That car is God’s, and I ought not to junk it up. Staying acutely aware of God’s ownership is a different way to think. It requires us to take our minds off ourselves during the day and think about God instead. It requires us to meditate constantly on Jesus. But, after all, isn’t that what we’re supposed to do? Isn’t that the point–to take every thought captive to the obedience of Christ? So I’m going to keep trying. After all, the commandments God has given us–even the ones about meditating on Him constantly–are not too hard. What about you? Are you acutely aware that God owns everything around you? If not, are you willing to start taking every thought captive to the obedience of Christ with me? It’s God’s Word. These Christian billionaires obey it. Maybe that’s one reason God has entrusted more to them to manage than He has me. I think I have something to learn. Don’t you? What is God saying to you about managing His stuff? Are you constantly aware that you’re working unto the Lord? Leave your thoughts in the comments below! Today, being Friday, many people receive their paychecks from their employers. It’s a funny thing, but I’ve found that money stretches further when it’s prayed over. 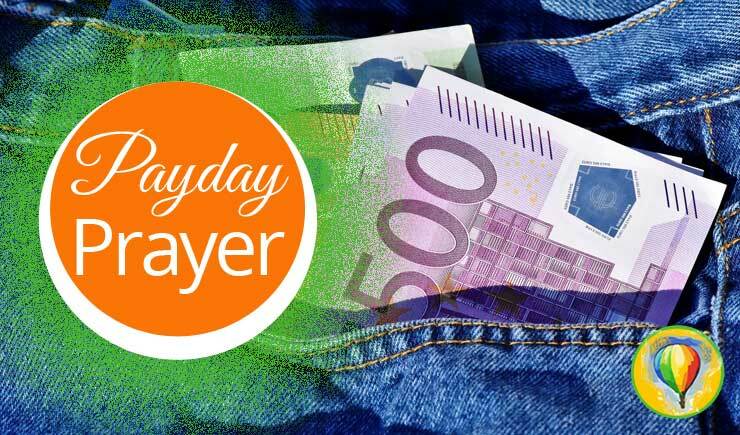 So, in case you’d like to pray over your paycheck today, I wanted to offer this payday prayer. Abba Father, thank You for the paycheck I received today. Thank You for giving me the power to get wealth. Thank You for confirming Your covenant with me by providing all my needs. Thank You for giving me the ability work and earn this paycheck. Father, I confess that this money is Yours. I choose here and now NOT to squat on it–not to sit on Your property when it doesn’t belong to me. I choose not to pretend like this money is mine when it’s actually Yours. Father, I acknowledge that this money is Yours. Furthermore, everything else I have is Yours. I confess that I am only a manager–a steward of what’s Yours–and not an owner of anything. Since You have given me this money to manage on your behalf, please show me what You want me to do with it. You see the bills I have to pay. You see the needs we have for groceries, fuel in the car, and more. You see all of our family’s needs. So Lord, please help me to make a spending plan for this money right now. Help me to obey You first and foremost by bringing you the tithe–the first 10%. I bring You the tithe, Lord. And because I am bringing You the tithe, I pray that You would open the windows of Heaven and pour me out so much blessing that Your provision overflows my need. Also, Father, rebuke the devourer for my sake. Don’t let anything in my life be devoured by the enemy. Protect the results of my harvest. Bring me the fruit of my labor that Your Word guarantees. Let all nations call me blessed, and give me favor everywhere I go. Thank You, Father, for the blessings You have promised to give me when I tithe. After that, please show me how much to put back in savings; and finally, show me how to pay for all the bills I need to pay out of this money. Pay every bill that I have on time, Lord, and with more to spare. Stretch this money longer and further than I ever dreamed. Money, you belong to Jesus, and I bind you to Him. You must behave according to Jesus’ will. Money, multiply, in Jesus’ name! Money, stretch as far as you need to stretch to cover all our family’s financial needs! Money, I notify you right now that you are to answer the needs I have written down in my family’s budget. You are not to answer any wasteful or unholy desires. You are to answer only the call of Father’s will for you. And finally, money: I command you in Jesus’ name to attract more money. Function as a seed that brings forth more fruit–more money–for my family’s needs and for the sake of the Gospel. Father, please make me a good steward for You. Help me to hear Your voice behind me saying “This is the way; walk in it;” and let me always obey You. Let me never turn to the right or to the left. Help me to obey You perfectly in regards to both this money You have entrusted to me AND in regards to everything else in my life. Help me to carry out Your exact instructions in every situation, and especially for the use of this money. Finally, Abba Father, I pray You would get lots of glory from my life and stewardship. Glorify Your own name in me. Use me and the things You’ve entrusted to me to reach people and expand the inheritance of Jesus. Make me a generous giver according to Your will. Help me to hide Your Word in my heart, so I will not sin against You; and give me Your wisdom from above. Beloved friends, I encourage you to pray over your paycheck every time you get paid. 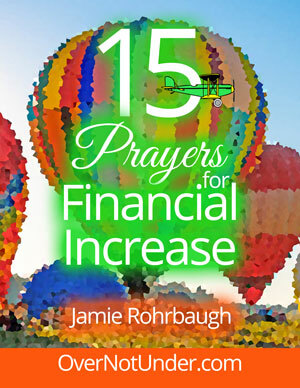 I feel that this is an opportune time in the spirit realm to pray more than ever over our finances. Praying over our income when we receive can be a huge part of that. So bookmark this page and come back as often as you need to (or, you can print it); and let’s petition Papa together to bless and stretchhhhhh our paychecks more than we could ever have dreamed. Did you pray this prayer with me? Do you have a testimony about what God did in response to your prayer? If so, please leave a comment below. Let’s share the testimony of how good our God is! I was about 8 months pregnant, riding in the car with my husband on a long trip to visit family, when a revelation hit me: I wanted my son’s life to be different than mine. Very different. So how did I want my son’s life to be different? I wanted him to have an inheritance. I’m not talking about spiritual inheritance here, although of course I do want that. We chose his name because it depicts the inheritance we want him to have. Wanting a spiritual inheritance for him wasn’t an epiphany; we had always wanted that. It was a no-brainer. 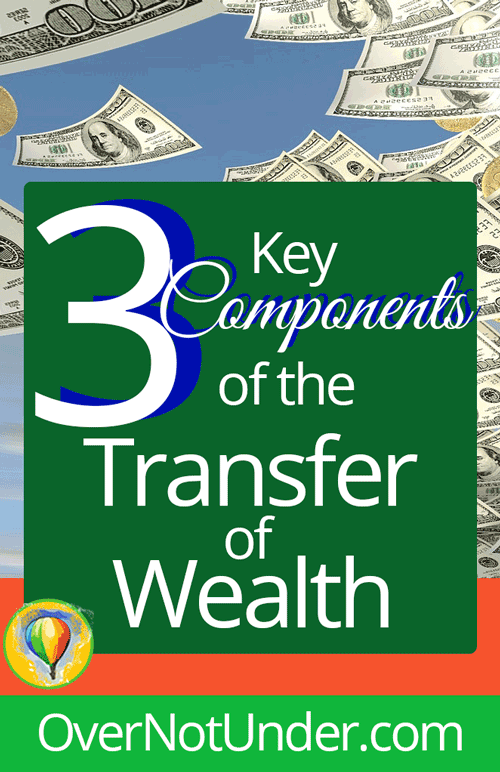 The epiphany was that I wanted our son to have a financial inheritance specifically. The wedding of their dreams. A surprise check for a LARGE amount of money for Christmas. Paid-for college for their children. I don’t have that kind of money on the day I am writing this, but I know how to get it. “How to get it” equals hard work and sacrifice. It means staying focused on a goal with laser-like precision over a long period of time. That’s how you get that kind of money, and anyone can do it. We’ve been saving and paying off debt for years, living extremely frugally. We don’t have cable TV. We drive a 2000-model car with about 250,000 miles on it and a 2008 SUV with a whole lotta miles on it too. We only recently got rid of our old tube TV and got a flat-screen TV. You get the picture. Because we’ve been working at it for years, we have made massive amounts of progress, and we’re grateful for that. We have paid off credit cards, student loans, cell phone financing plans, an unsecured personal loan, and more. It’s been really hard work, but God has blessed. As soon as we started trying to get out of debt, He helped us. Now, we have zero debt except a mortgage on our house and a mortgage on our rental house—(real estate #fail, another story for another time). But, we’ve never had a plan in place that would allow us to build the kind of wealth that would allow us to pay for houses, weddings, and huge Christmas surprises. But when my epiphany struck, I suddenly knew how we could save that kind of money: by paying off our house. My husband has actually been wanting to make extra principal payments on our house for many years. However, I was never on board. You can’t use equity to pay your mortgage if a cash emergency happens. You can’t use equity to pay the light bill. Equity won’t help you a bit in case of job loss or unexpected medical bills (and we’ve had plenty of medical bills lately, that’s for sure). And forget about a home equity line of credit (HELOC). I’ve been there and done that, and HELOCs stink in my opinion. … because I peeked into the future and saw that a paid-for house could unlock the world for us—and for our son. 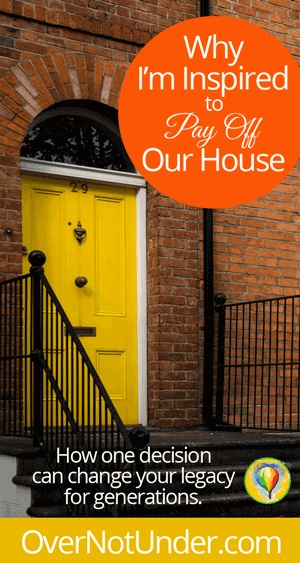 A paid-off house would free up an entire mortgage payment’s worth of cash every month. A paid-off house would mean we could save enough money to pay for things like our son’s wedding in the space of months, instead of years (or never). A paid-off house would mean we could use that mortgage payment to save for our son’s college, so he can graduate without debt. A paid-off house would mean we would have money available to increase our giving and get the Gospel out, and show our baby the blessings that come with generosity, year after year after year. And I want to pay off our house because I want those blessings for him. I want him to know financial security, financial legacy, and the peace of mind that comes with not having to wonder where your groceries are going to come from this week. I want him to put his energy toward things that he’s called to do, and not worry about whether his parents are going to have our house foreclosed on. I want him to know that money is a walk in the park for us and for him, because it’s a walk in the park for God. My God shall supply all our needs according to His riches in Christ Jesus (Philippians 4:19). I want Him to SEE this truth in our lives, not just hear us quote it without ever actually living it. I want to model the abundance that I preach; the abundance Jesus died to give us. We are blessed in all things. We really are. We have plenty and enough to spare. But that day, in that moment, I saw a whole new reality. I saw such a glimpse of what the future could be that it gripped my spirit and changed my behavior in one moment. It’s not like I was wasting money before. I wasn’t. But I suddenly became willing to make whatever sacrifice I needed to make in order to pay off our house, and pay it off quickly. So while my husband drove, I found an online calculator or two and began figuring out how fast we could pay off our house. 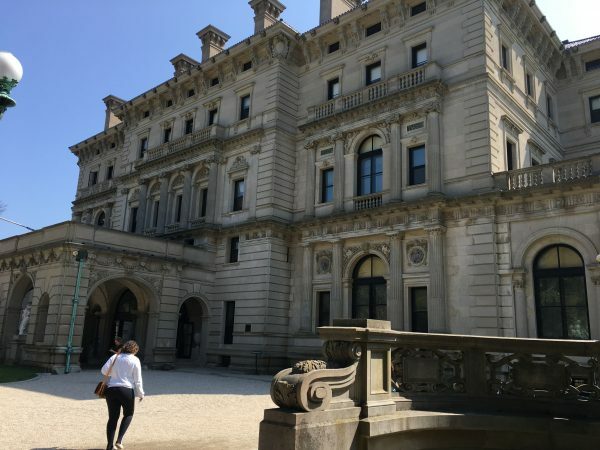 The numbers showed that we can pay it off about eight years earlier than the loan documents say … IF we are willing to make sacrifices, and if Papa provides a certain amount of money each month. It was money we had never planned on allocating toward this purpose, but we were suddenly willing to do it. I was suddenly willing to do it. And my husband, God bless him, was gracious and gentle. He didn’t berate me for not ever being willing before. He simply agreed that paying off the house would make a huge difference, and that it was the best possible thing we could do. So we decided that, effective the first of the year, we would begin paying X amount in extra principal payments on our mortgage. We knew we would have to sacrifice BIG. We also knew it would take a miracle. Papa would have to provide. BUT … we also knew that our decision was pleasing to Him. After all, it lines up with His Word! So we prayed! “Father, please provide and help us to pay this amount each month.” We wrote down our goal on our financial vision board, signed and dated it, and took communion over it. And we believed God. Well, that was just last year, and the extra payments only began in January of this year. So we’ve had two months of extra principal payments so far. In January, we didn’t have all the money we needed for our target amount at first. So we paid what we had in hand at the time. But then, the rest of the money to meet our goal came in toward the end of the month. (Thank You, Lord!) Our mortgage company wouldn’t accept a principal-only payment; we had to wait until the next regular mortgage payment was due in order to add the extra principal. So we saved that money until February, and this month Papa provided what we needed to make this month’s goal as well. So when we paid our mortgage this month, we attached those extra payments to it. 1. God will come up under you to help you, as soon as you take steps of obedience. He does often wait for you to make the first move. When He does that, He’s testing you. He wants to see if you will obey Him for the sake of obedience–or if you require evidence your flesh can see before you’re willing to step out in faith. 2. God hears and answers our prayers; and the more specific the prayer, the more specific the answer. We are praying for a specific amount to come in to apply to the mortgage each month. As I’m writing this, it occurred to me that we ought to ask for even more. Our God is able to do exceedingly abundantly above all we could ever dare to ask, hope, or think. Why aren’t I asking for that? But at any rate, we are asking Him to send a specific amount and He has. I believe He will continue to do so, and that amount can even increase as we pray more specifically. 3. Sometimes He helps by gripping our heart and spirit with the vision, so the sacrifice is easy. Many of you may have experienced that when fasting. When you fast with supernatural grace, you care more about drawing close to God, and receiving the breakthroughs on your prayer list, than you care about eating. Well, He has definitely gripped me with this vision of leaving a legacy for our son by paying off our house. I can see that vision. I can feel it. I can taste it. And that vision means more to me than skipping dinners out or an evening at the movies. Do you want to change the generations of your family? Have you had a vision of what your legacy could be? If not, I encourage you to dream with God about your financial future. Dream with Him about every aspect of your life and of your descendants’ lives. If you are willing to dream a little, He will open up His vision of your future to you. He will show you what could happen, if you want it badly enough. And when He does, ask Holy Spirit to grip your spirit, soul, and body with such hunger for that vision that the sacrifice suddenly becomes worth it. “Father God, in Jesus’ name, please help me to dream with You. Show me what Your plans are for my life. Show me what You have in store for me–and what I could receive if I get on board with Your vision. Then, Papa God, please grip my spirit, soul, and body with this vision. Help me to desire Your highest and best will for me more than I desire fleshly extravagances and indulgences. Help me to take steps toward the future YOU have for me with joy and enthusiasm. Help me to write the vision down, pray specifically over it every day, and walk in faith every step of the way. Thank You, Father God. I give You all the glory, and I thank You that all this is possible because Jesus died for me and brought me back to You. I love You, and I bless Your name. Does this word stir a dream in your heart? If so, please leave a comment below! I’d love to hear your thoughts!